ASIA/AFGHANISTAN - The Barnabite in Kabul: "The Taliban defeated in the elections, the desire for peace is stronger than bombs"
Kabul (Agenzia Fides) - "If we were to evaluate the elections for the renewal of the Lower House (Wolesi Jirga) of the Afghan Parliament according to our parameters, one could say that they were a total failure. If, however, we take into account the situation in which they took place, in my opinion, they represent a great success". This is what Father Giovanni Scalese, Barnabite missionary, titular of the Missio sui iuris of Afghanistan, told Agenzia Fides with regards to the election day set for 20 October, but ended on Saturday 27 October. 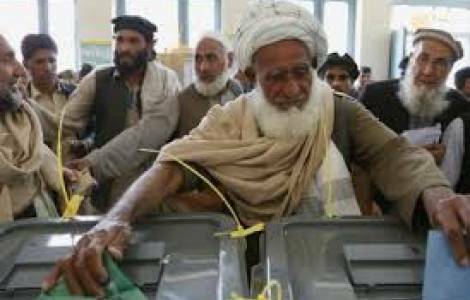 In fact, in the province of Kandahar, the electoral round had been postponed following the deadly attack on the eve of the vote and claimed by the Taliban, in which the governor and the police chief of the same province were killed. The data speak of a very low turnout and of disorganized voting operations. Scalese in the note sent to Fides says: "In fact, less than 50% of those entitled voted, fraud was reported, there were many deaths and injuries due to attacks by the Taliban and ISIS. But perhaps the greatest limit was the great confusion: delays in opening the seats, long queues of voters, failure to operate the new biometric recognition system, postponement of votes in the province of Kandahar. There are those who fear that disorganization may in some way de-legitimize the results of the vote, which will take place between November and December". Despite this scenario, Fr. Scalese underlines the positive nature of the event: "These are elections that should have been held in 2015 and continually postponed. The mere fact that they took place is already a success. But the massive participation, despite threats and attacks, demonstrates the desire of the Afghan people for democracy. The Taliban definitely come out defeated. Not only because they show that they do not have followers they say they have among the population; but also because they failed, with their threats, to keep voters away from the polls. Afghans have shown they are not afraid. The desire for a peaceful democratic life was stronger than bombs".